The best way to improve the design of your web page is to gather feedbacks and constructive criticisms not just from your users but also from the experienced web designers and developers around the web. Feedbacks are your measurement on how good is your design or how well your page satisfies the needs of your users. Gathering and organizing feedback from others will help you spot issues and validate design choices. Emailing back and forth can be possible but it requires a lot of time for both sides. Good thing there are already a lot of tools you can find on the internet today which will help you get the design feedback from others easily. 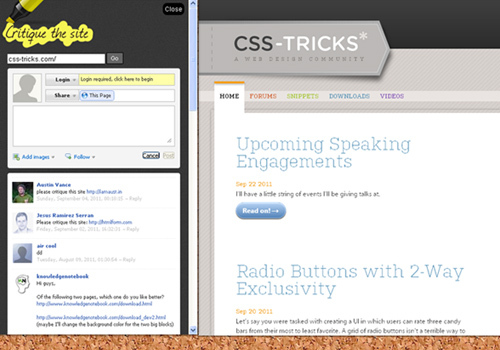 Here are the 20 Tools for Obtaining Web Design Feedback. These tools are very useful for commenting and receiving suggestions from clients as well as from your team members. By using these tools, you will be able to share your work and receive reviews in return. Some of these tools are very simple and easy to use but others are offering extensive features. Choose the tool that you think will work well with your needs and you’ll discover that you have a much more efficient way of managing your feedbacks. 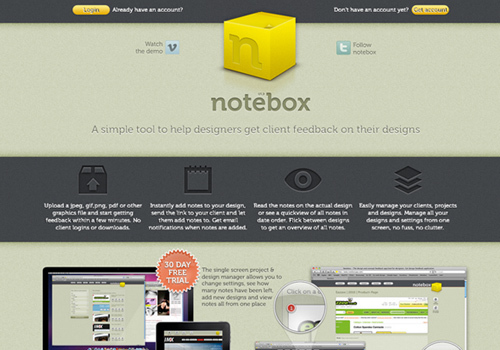 NoteBox is an application designed for getting client feedback on designs. 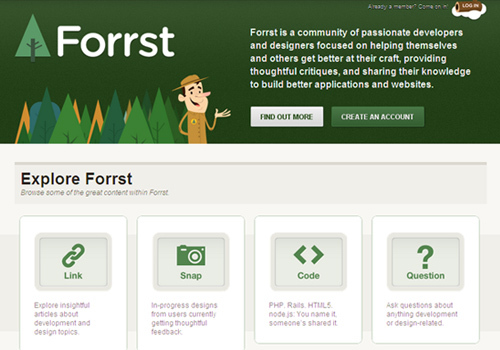 Forrst is a forum for passionate developers and designers where users can get advice or feedback on their work. 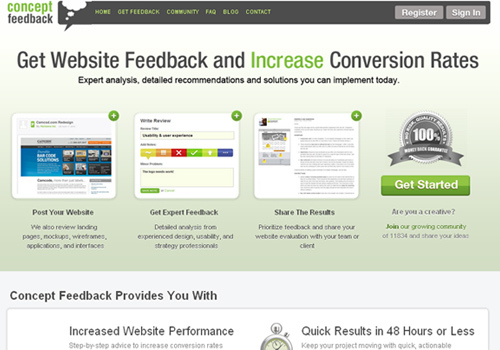 Concept Feedback is a website feedback tool that provides website advice from certified experts in design, usability and strategy. 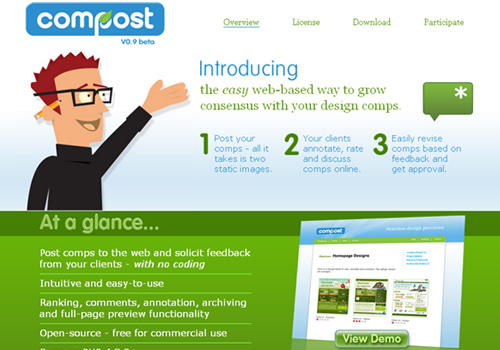 Compost is a tool which allows you to solicit feedback from your clients – with no coding. 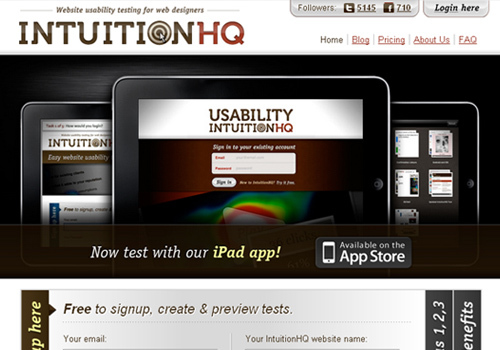 Intuition HQ is a simple, powerful online usability tool built by designers for checking site designs and getting feedback from clients. 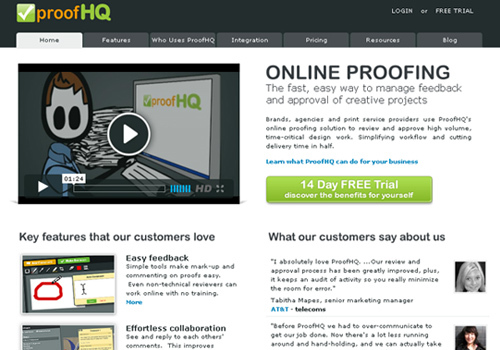 ProofHQ is an online proofing tool made for professional designers to manage feedback and approval on design projects. 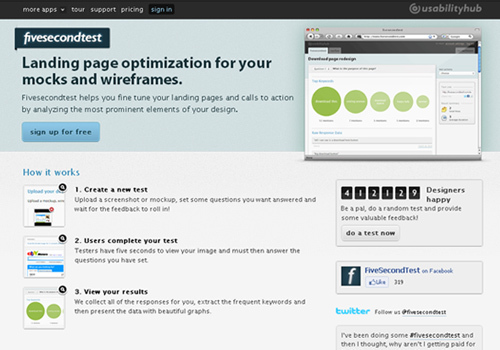 FiveSecondTest is a new site that allows you to quickly run a mini-test on a screenshot of your site and allows you to get quick feedback on landing page designs. UserThought.com is a European company which provides a robust feedback form service for almost every website. 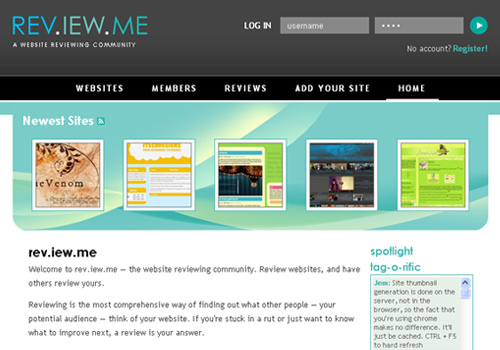 Rev.iew.me is a web page/website reviewing community for webmasters, developers and designers which gives and receives free reviews to boost the effectiveness of your website. 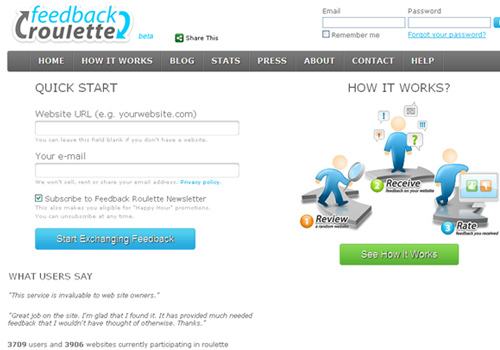 Feedback Roulette is a free web-based tool for anonymous exchange of feedback about websites. 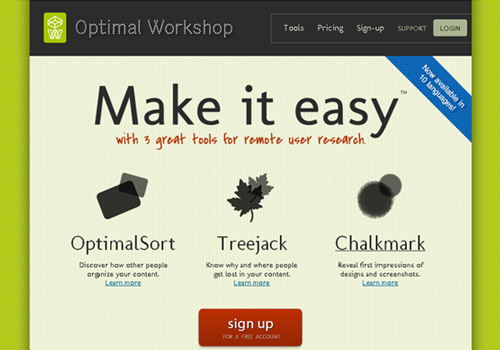 With Optimal Workshop, you can get real feedback from real users. 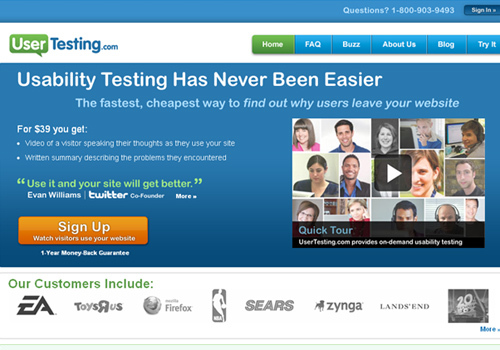 UserTesting.com is an online web application that provides feedback on why people leave your website. 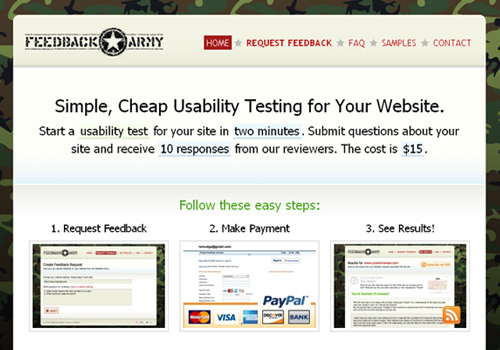 Feedback Army is a website usability testing service which allows you to get feedback from users about the website through the usability test. 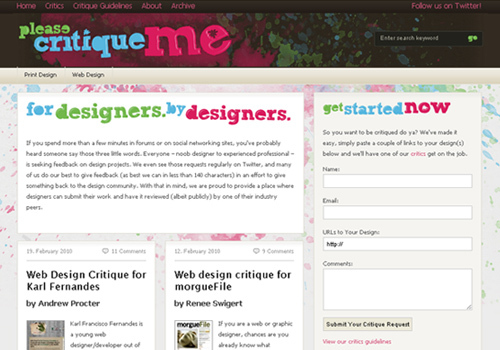 Please Critique Me is a website and blog that gives web and graphic design feedback for free. 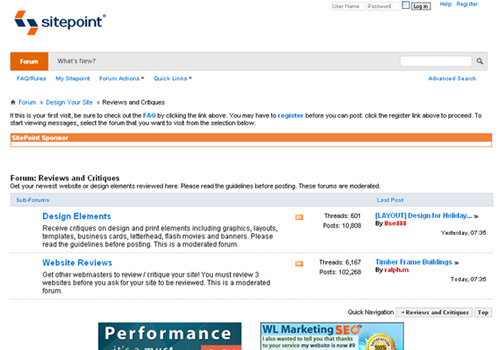 SitePoint is one of the most useful webmaster forums on the net which allows you to get your newest website or design elements reviewed. 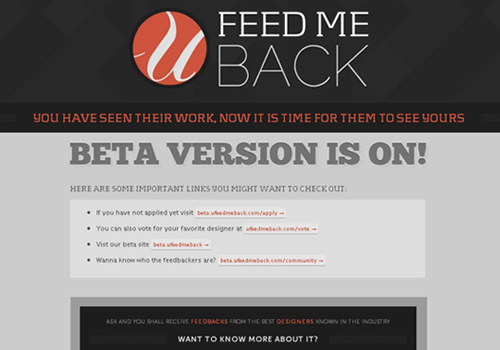 UFeedMeBack is a straightforward consulting tool that helps designers improve their work as it is reviewed by well-renowned, experienced web designers. 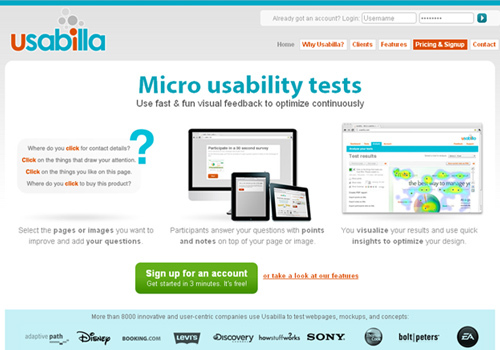 Usabilla is a web-based usability testing tool that offers a fast and simple way to collect visual feedback on webpages, mockups, wireframes, sketches, or any other images. 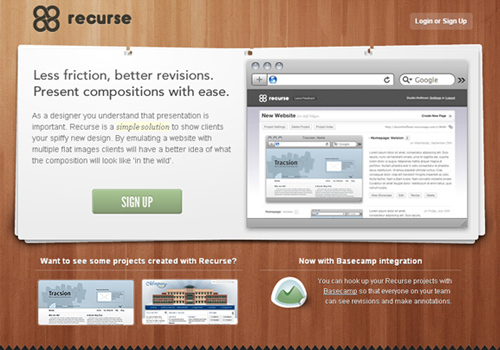 RecurseApp is an online web app which allows you to share your latest web design projects with colleagues and get quick feedback from them. 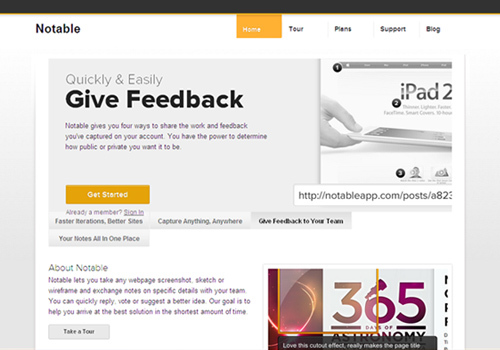 Notable is an excellent web-based application that helps you get feedback from your team and your clients. Thanks very much for including IntuitionHQ in your list – glad you like it! Thanks also for sharing so many interesting sites – a few new ones here for me. Pretty cool website very useful for designers! Hi Marvi Thank you for including UFeedMeBack on your list! 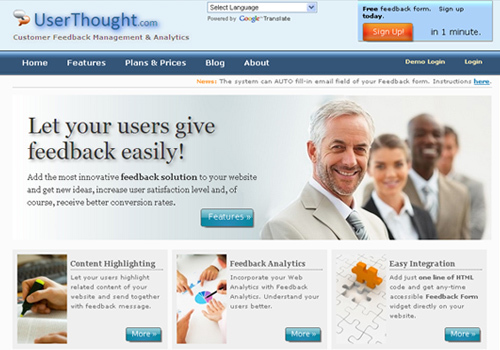 Thanks for including UserThought Feedback Analytics service in your review!